I was just wondering, are those recycling bins for show or are they really taking them to the recycling centre? Who are collecting them? I’ve never seen anyone collecting the ones at Newton. And what about the bins at Newton circus hawker centre… I see them, but people are not really using them. The recyclables from the recycling bins are collected by the recycling contractors authorised by the National Environment Agency, and brought back to their recycling facilities for further sorting. I have moved to one of the new flat above Buangkok MRT station. Nearly all the units have already been filled. Despite this I have not been able to locate any recycle bins within the area. Making sure that recycle bins are available in new estate is important as there will be ablot of waste generated from packing and unpacking as a result of shifting house. Maybe the bins are not yet allocated by the recycling contractor at new flats. You can also make use of the recycling bags distributed fortnightly. If you have not received the bags, feedback to NEA. Even though recycling bins have become an increasingly common sight in Singapore, are people really using them or using them properly? There are many times when i have seen dirty plastic bottles in recycling bins. I am sure that this is not done on purpose as rules that recyclables must be clean when disposed is not made well known. Also, if one are aware of these rules, they may feel it more convenient to dispose of the recyclables in the common bin rather then wash them especially if they are on the go. Theres this blue yellow-topped recycling bin behind block 211 along Yishun Street 21, the bin is filled to the brim with trash and its already spilling all over the place. I’m starting to wonder why the bin hasn’t been cleared for a while. Its a good sign that the residents of that estate are making use of the recycling bin, but i think the contractors need to take a look at their collection schedules. Its pretty unsightly. Cheers. Next time the recycling bins are full, call the telephone number on the bins to inform the contractors. The bins are cleared regularly but sometimes there are overflow due to the occasional increase in the residents’ recyclables. I would like to suggest that the NEA should place the reclcling bins in shopping centre too.. Especially in shopping centre such as Great World City, United Square, UE Square, Serene Centre etc these is because there are schools in these shopping centre. Generally the teachers and students can recycle the unused papers..thanks. Recycling bins in shopping centres have to be placed by the building management as it is their private space. CapitaLand has placed recycling bins at its shopping centres. For schools, there are recycling programmes for students and teachers to recycle their used paper. hey I have a question. If I wanna recycle my school papers, do I just throw it inside that recycling bin or bag it in a plastic bag before chucking it in? And the big yellow bin with a red top, is it for ALL materials? 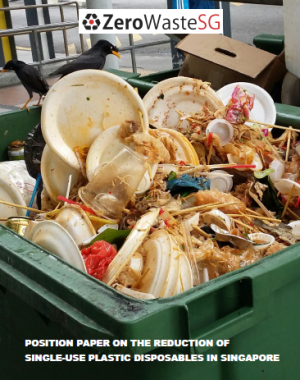 i am just checking if anyone of you have the latitude and longitude of all the 1500 recycle bins in singapore, as i wish to port this into a mobile application for people to locate the recycle bin with ease. Hi Jun, there’s a map of the recycling bins at http://www.onemap.sg/index.html. I think you can find what you want there. 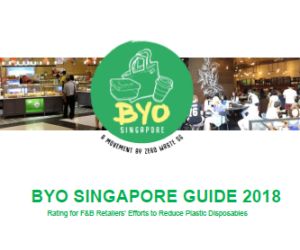 Can i check with you if it’s possible for you to provide me with the details(Lat, Long, Recycle Bin Address and Image of RecycleBin) of all the recycle bins avaliable in Singapore? Hi Jun, the addresses of the bins are obtained from the NEA website. There’s no lat, long and pics. My question is: Anyone think of pushing the information on recycling bins further to list and locate the bins in for example parks and shopping centres? i see. Cause the information provided by NEA is as on August 2008, so i believe there could be quite a lot of changes within that 2 years. Btw, the link http://picasaweb.google.com/bern0004 you refer to early on was also using the information from NEA? Do you have any idea on when was the picture last taken? Hi Jun, you have to check with NEA. Ya, i guess so. Cause i have develop a mobile application which required the data of recycle bin. Can i just double confirm that is it ok for me to use your dataset of recycle bin including the picture for my mobile application? just wondering if there is any reply to my prev post. Hi Jun, why don’t you get the location of recycling bins from NEA? They have the most updated list. Which pics do you wish to use and for what purpose? basically is the dataset for this app i develop to enable user to located the recycle bin. Hi Jun, you would need the updated data from NEA. We don’t own the images in the link you refer to. I am looking for a color code for receycling bin in Singapore ? or instructions for recycling in condo, hdb or public places. Hi Yves, there’s no official color code for recycling bins. 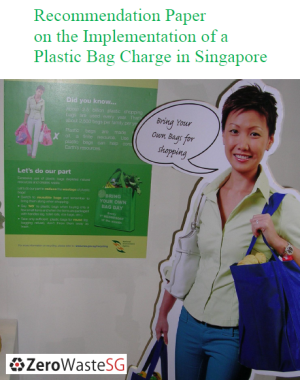 You can find instructions on the various recycling programmes at http://app2.nea.gov.sg/topics_recyclingprog.aspx. i nd to get interesting recycle bin for my school…where can i get them? Hi, who should i go to to request for a recycling bin? i’ve just moved house, would like to recycle cardboard boxes and papers/files but there is no recycling bin at my area. it is such a waste to discard them..
Hi faye, you should receive recycling bags if you’re staying in HDB estates. Feedback to NEA if you have not received the bags. is NEA distributing recycling bags to all HDB estates? i have not received any in my new place even though this is an old estate. at my old place, the distribution of recycling bags is also not consistent, i did not received a bag in months. anw, can i request for recycling bin from town council? Hi Eugene, are recycling bags sent to every HDB flat new and old? I have not received any at my new place which is an old estate, while the distribution at my previous flat is not consistent. Do you think I could request for a recycling bin from town council? Hi faye, all HDB estates are under the National Recycling Programme. Feedback to NEA on the non-issue of recycling bags. I would like our office to participate in the recycling programme. I have been to a private institute and saw that they have a recycling bin. The bin will be empltied on every Friday. Could you advise me on how to go about this arrangement. To request for recycling bins and collection, try checking with the current waste collector for your office, who usually would do recycling as well. If not, you may wish to check with the collectors at http://app2.nea.gov.sg/topics_collectrade.aspx. They usually provide the bins as well as the collection for a fee. 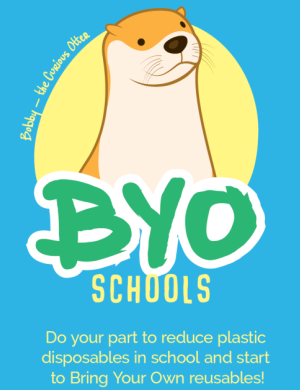 Fyi, we also help organisations to start a recycling programme (for a fee) by conducting a waste audit, source for recycling collectors and bins, and educate staff on waste minimisation and recycling. 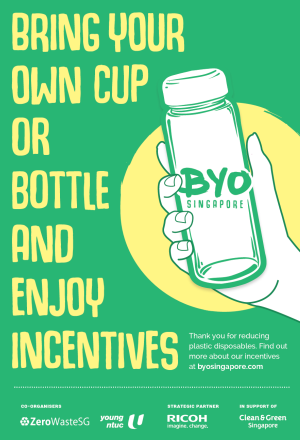 If you are interested, do email us at editor@zerowastesg.com. Thanks. Hi, Do you have a reliable recycling contractor to recommend for paaper and plastic wastes? I work at a research institute in Biopolis and we generate 500L of each type of waste per week. The recycling contractor we engaged comes on an infrequent basis and our wastes pile up in a week. I emailed a few of the contractors on NEA’s list but response from them is slow or they will charge for each collection. This does’nt seem very encouraging for us to maintain our recycling programme. Hi Hwee Hoon, most collectors charge for recycling collection. Hi, could you please inform me any medical waste management company in Singapore? Company who manages the waste from hospitals. I need references. Hi Anita, you can find the list of toxic waste collectors at http://app2.nea.gov.sg/data/cmsresource/20090316562565217318.pdf. 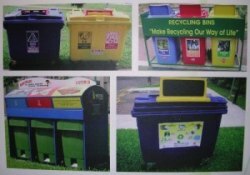 Where does recycle bin in Singapore usually located? Anybody know where can I find company who provide free recycle bin for Company located at Raffles place? 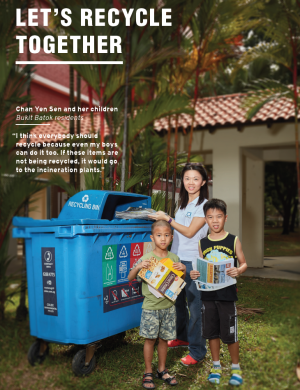 @Annie, you may wish to check with the collectors at http://app2.nea.gov.sg/energy-waste/recycling/collectors-traders-for-recyclables. Hi! The link to the map doesn’t work! Please update! I moved to aljunied crescent about two years ago. I am glad tk say theres most recycling bins around our vicinity but I am terribly upset with the residents living in the area. They would pilfer the items placed in the bins and make a mess out of it. Sometimes before the recycling truck can collect the items, the bin is overturned or emptied on the floor. I hope theres more educational advertisement to enlighten these “theives”. Excuse me, I would like know where can I find the Battery Recycling Bin? Thank you . Notice this week the recycling bins in Hougang Avenue 5 had disappeared. Had anyone any idea about this ? Where can I dispose batteries properly? I’m from the US, and they have bins at most libraries and grocery stores where you can safely get rid of old batteries. I think they may recycle them. But anyway, if they aren’t disposed of properly, the battery acid from the old batteries will get into the ground water. In a water-strapped place like Singapore, I would think they would not like that to happen. Which it has already, but no one is aware of the damage they are causing by simply throwing batteries in the dust bin. Why aren’t there recycling bins beside vending machines? Great initiative opening this site that allows us to locate the nearest recycling bins with onemap. Onemap has confirmed my suspicions that there aren’t any recycling bins in my vicinity. I live in the new estate of Punggol Topaz. Despite being a new estate, why does it seem to me that the infrastructure for waste collection and recycling is even more primitive than in a mature estate where there are recycling bins under each block? For an environmentally concerned individual, it is extremely worrisome that I can’t find any recycling bin in my vicinity, and our communal chutes are also not fitted with any recycling chutes, unlike the press release that I read on NEA’s website which promises all new estates to be “fitted with recycling chutes with throw points at each floor of the block.” Please do get back to me on the situation in Punggol. I have bags of waste paper, books and empty glasses waiting to be recycled. Hi Angeline, pls feedback about the lack of recycling bins to NEA at 1800 CALL NEA (1800-225 5632). I just started working at a mosque located at 1 Jalan Eunos, opposite the MRT. There are no recycling programmes here and I am eager to kick start one. Where can I get the yellow, red, blue recycling bins? How much will each of them cost? Who are the people or contractor that will collect the recyclables? Is there anyone there willing to guide me? Hi, may I know how to report that the bin is already full and is ready for collection? Hi, thanks for the map. Im not very sure how to read the map with all the different colors.